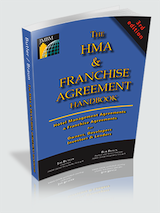 The HMA & Franchise Agreement Handbook is a practical, easy-to-read guide that addresses the critical issues involved in negotiating, re-negotiating and terminating hotel management agreements from the hotel owner’s perspective. The 3rd edition of The HMA & Franchise Handbook includes 8 new articles and a new chapter to deal with the important issues raised by franchise agreements, brands and independent operators. For more detail on The Handbook’s contents, see the description below the registration form. What is your interest/involvement with hotels and HMAs? I would like a JMBM attorney to contact me. The trap of "changing brand standards"
Why is hotel management agreement litigation on the rise?